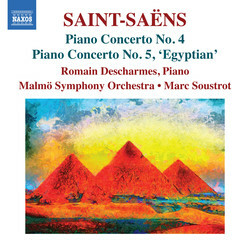 Saint-Saëns’s mature creative genius shines throughout these last two piano concertos, looking back over a glorious musical ancestry while at the same time opening the door to new worlds. 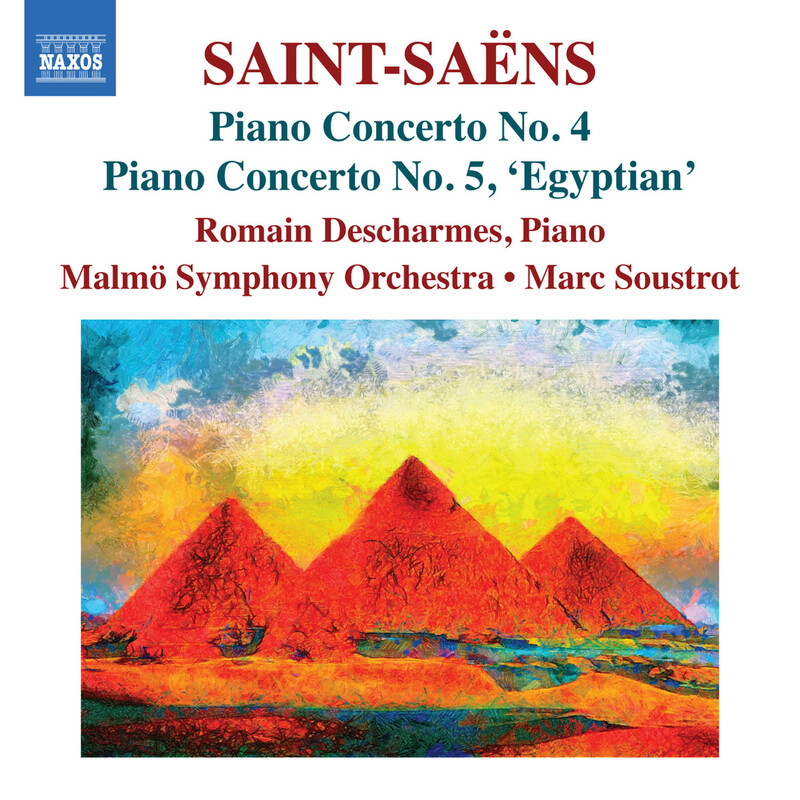 The Fourth Piano Concerto is prescient of both his great Organ Symphony and the concertos of Rachmaninov, revealing Saint-Saëns at his most inspired and innovative. The Fifth was composed in the Egyptian temple town of Luxor, and displays a rich tapestry of exotic cultural influences from Javanese, Spanish and Middle Eastern music, as well as portrayals of chirping Nile crickets and croaking frogs, and the composer’s representation of ‘the joy of a sea crossing’.